The refs hit Drummond with his second technical foul on the play, and he was automatically ejected. 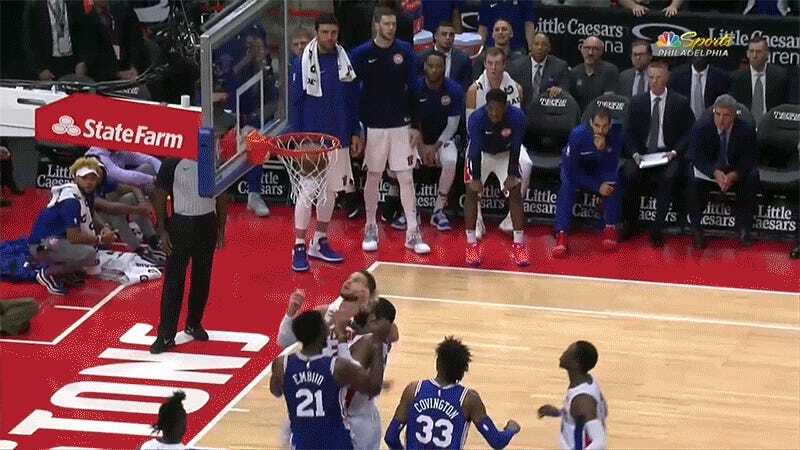 But J.J. Redick bricked the technical free throw—ball don’t lie!—and the game eventually made its way to overtime. The NBA has had an anti-flopping rule since 2012, which allows for players to be punished for “exaggerated falls to the floor.” The flop got Drummond bounced, but it failed to produce a win. What it should produce is a nice fat fine for Embiid.